With more than 20 color selections to choose from, incredible stain resistance at a great price, it’s no surprise that this is the most popular cloth at our store. Bathed in Lamguard, this blended fabric (75% wool, 25% nylon) combines long lasting durability, stain protection and quality play. 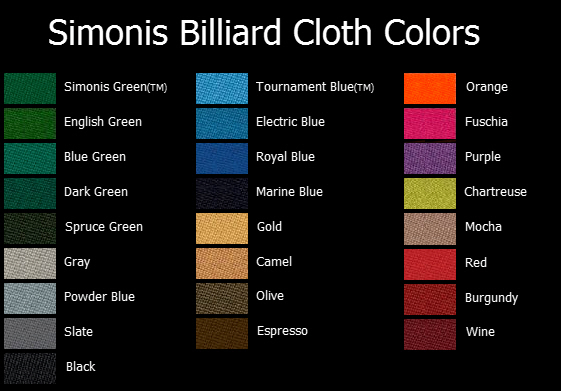 Simonis has been manufacturing superior quality cloths since 1680, and remains the reference standard for quality billiard cloth. 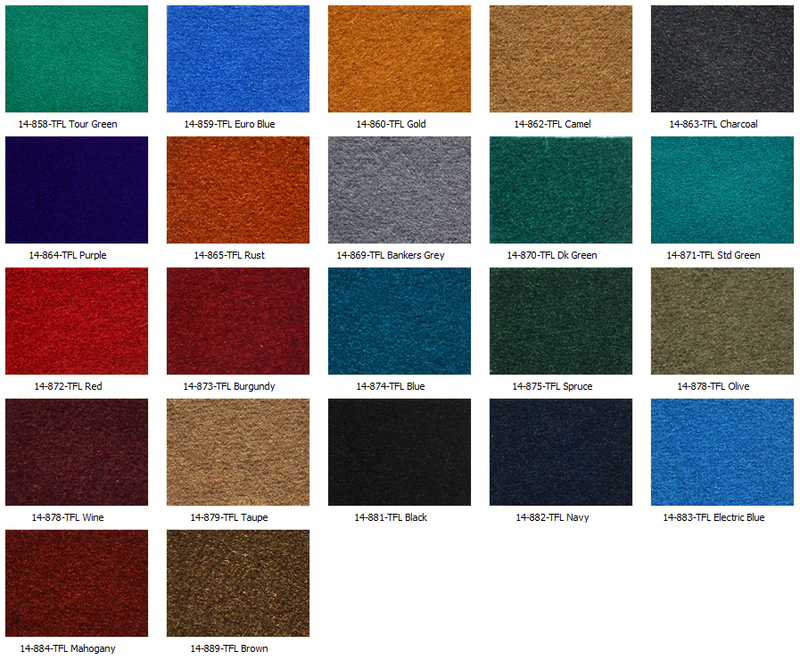 Specializing in cue-sport game materials, Simonis fabrics are made with exceptionally tightly woven wool that naturally resists stains, delivering world class play in an array of colors.